By Vanessa Cardwell, Marketing Manager, Netutils. 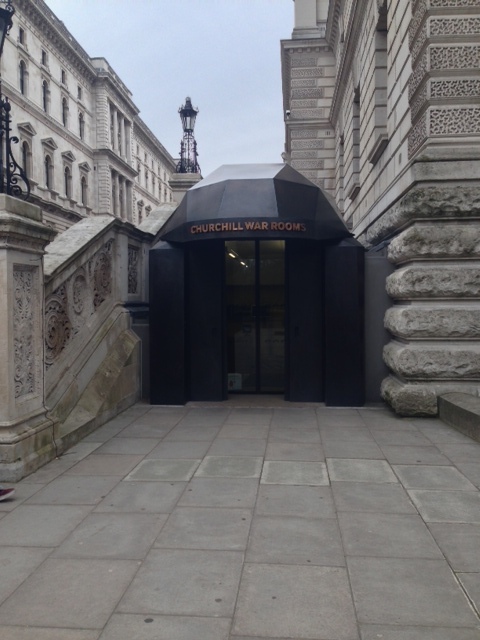 On Wednesday 19th March 2014 we invited organisations to join us at The Cabinet War Rooms in London to ‘Take a Closer Look’ at Juniper Networks. The aim of the event was to build relationships with organisations interested in having face to face time with Netutils and Juniper Networks’ technical experts and to learn about the latest innovations in datacentre and campus and branch networking & security from Juniper Networks. The War Rooms lent itself extremely well to the event. Churchill’s bunker was the perfect place to take stock and work together to strategise and address some of the networking & security challenges we face in today’s constantly evolving enterprise. A t the top of the day the ice was expertly broken by Major Wade & Mrs Hughes our 1940’s actors. Wade and Hughes welcomed our guests to the War Rooms and delivered a wonderfully entertaining introduction to the War Rooms complete with whistle blowing and bell ringing! Once our guests were reassured they were safe underground the event commenced. David Silsby, Sales & Marketing Director introduced the details of the day to our guests and explained how Netutils’ goal as an organisation and Juniper Networks Elite Partner is to help make sure our customer’s technology does what it is supposed to. Supporting organisations to ensure their networks are fast, secure and available to the right person at the right time, making sure we give you access to technology when and where you need it. Next up was Brett Ley, Director, Datacentre Sales EMEA. His presentation focused on Innovations in Datacentre Networking & Security. In a world of ever-changing apps, evolving virtualisation and the rapid adoption of cloud, mobility and big data technology, today’s network needs to be incredibly agile. Brett Introduced Juniper Networks’ MetaFabric Architecture—a simple, open and smart approach to network architecture. MetaFabric leverages Juniper Networks’ comprehensive portfolio of switching, routing, orchestration, SDN and security solutions. Switches optimised for the data centre to support any switching fabric architecture for any application. Routers that interconnect multiple data centre locations and clouds, across virtual, physical, and SDN workloads. SDN solutions that automate and orchestrate creation of virtual networks. Data centre security solutions that adapt to defend, detect, and respond to targeted threats. Automation and orchestration management tools that provide network visualisation, analysis, and control. Simple – Enables ease of deployment, operations and management of the network without service interruption. Open – Maximises flexibility by integrating with any data centre environment, eliminating vendor lock-in. Smart – Saves time and improves the performance of the network through data, analytics, and actionable insights. The bottom line is that the MetaFabric architecture delivers the agile and efficient network foundation required for today’s dynamic data centres. Netutils Senior Technical Specialist, Malcolm Orekoya then delivered an overview & demo of Junos Space. Exponential growth in network traffic, changes in mobile user behaviour, and the onslaught of new cloud services and applications are expanding the avenues available to malicious attackers. Managing enterprise security policy in these complex environments can become prone to error and overly time-consuming, especially if management solutions are slow, unintuitive, or restricted in their level of granularity and control. Poor policy management can also lead to security mis-configuration, making the enterprise vulnerable to sophisticated threats and regulatory noncompliance. Junos Space is an open, secure, and scalable software platform that allows customers, partners, and developers to build and deploy simple, smart applications that manage and analyse network element data and optimise network infrastructure and operations management of infrastructure running the Junos operating system. Malcolm demonstrated the attributes of the Junos Space solution that allows customers to maximise their network value and scale solutions while reducing complexity. Malcolm demonstrated two main applications of Junos Space – Network Director & Security Director. Security Director provides efficient and cost effective management of Juniper Networks SRX security platform and allows you to scale management reach across your security and network devices and ease administration and reduce configuration errors through a responsive Web interface. Network Director offers a unified wired and wireless network management application for Juniper Networks switching and wireless portfolio, featuring full life cycle management including pre and post deployment life cycle tools with single pane visibility to manage Network infrastructure, users and services. Jonas Gyllenhammar, Pulse Architect, EMEA concluded the session with his presentation on Innovations in campus & branch networking and security. The ability to access anything from anywhere is the new norm in today’s world of communication. This creates a lot of concerns when it comes to corporate data being accessed securely. It is not only the challenge of the mixture of managed and un-managed devices and their security state but also the protection of actual valuable data that needs protection. This requires a new echo system involving secure access and intelligent firewalling to bring together security intelligence and deception techniques from multiple sources. The User – are they known or unknown? The Device – corporately owned? BYOD, staff member with an unknown device? Or Guest with an unknown device? Junos Pulse allows you to combine different users and devices. An end-to-end solution which covers all use cases delivering network wide policy orchestration. Jonas spent some time detailing the different attributes of the Pulse solution – profiling, on-boarding, authentication, device / user authentication, role based access and network wide automatic threat mitigation. The Pulse solution keeps BYOD simple. It supports the requirement that users need BYOD in different flavours – light and full access. As well as providing full network access to known users and devices, it’s vital to have a simple identity based guest access solution for Wi-Fi access, keeping you compliant and secure. In short, Pulse allows you to deliver the right policies for the right use cases, making the access and on-boarding experience seamless for the user. Jonas also introduced our audience to Junos WebApp Secure (JWas) Jonas demonstrated how easy it is to detect, identify, track and stop hackers in their tracks. The simple, clean interface of the solution allows for easy monitoring. Junos Web App Secure looks at two areas – Certainty and Specificity. This ensures that you are blocking the right activity without impacting your business, and identifying malicious behaviour that other solutions can’t even start to think about finding. The demonstration of Junos WebApp Secure illustrates how the Juniper Networks’ security ecosystem adapts at the speed of risk, where allowing easy access is balanced with stopping attackers from getting what they want. Fo r further information on innovations in datacentre and campus & branch networking and security please do get in touch. Keep checking our blog for regular updates and videos from our events. We made a video of the event. You can check it out on our blog here. Our Innovation Days are a great way for organisations new to Juniper Networks to get under the skin of what’s new and innovative in datacentre and campus & branch networking and security. 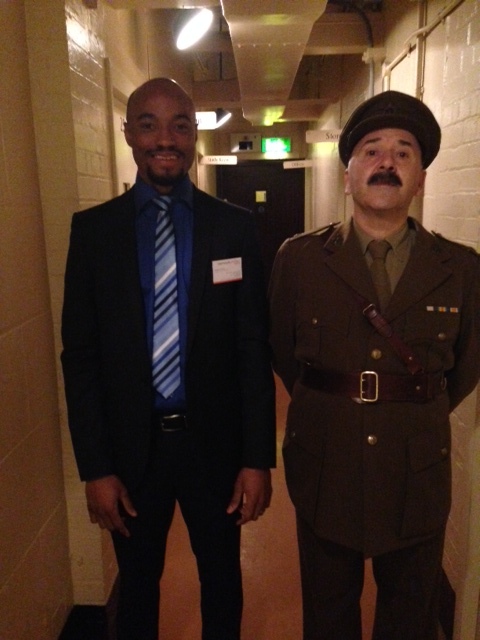 Watch our short video for a taster of our recent workshop at The Cabinet War Rooms in London. Thanks to Bark Films for the great video.